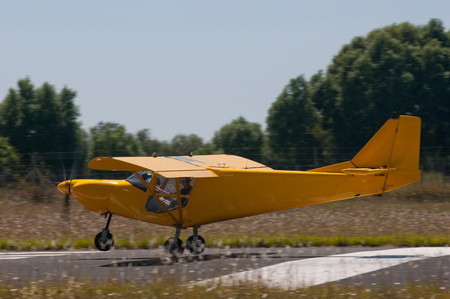 On Monday 3th of Augustus Mistrale performed a first test flight. 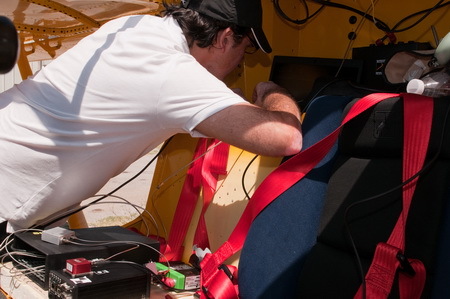 The test equipment was mounted in an ultralight Savannah aircraft, which can mimic the way we will fly with a drone: at low altitude and low speed. The test comprised two test areas. We have surveyed these areas with the GNSS-R equipment and with optical sensors (a multispectral camera and an infra-red camera). The latter to get context and control data. 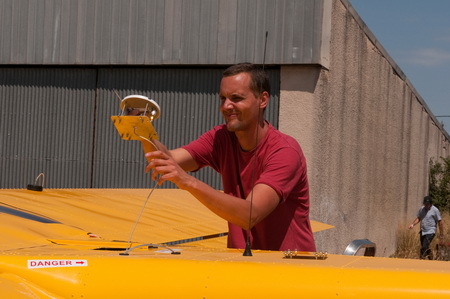 Also both test areas were visited on the ground and in situ GNSS-R antennas were installed to measure the reflected GNSS signals for several weeks around the test flight. This data is used to validate the results of the test flight. 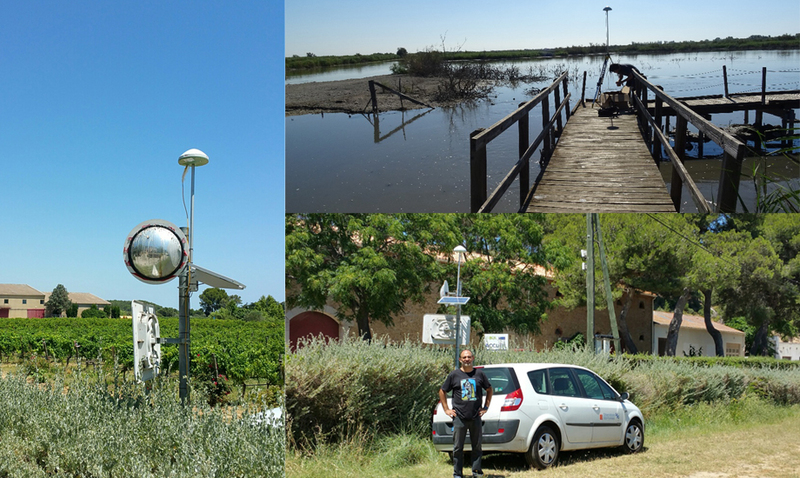 Images above: Top right a panoramic point of vue of the Parc Naturel de Camargue, which is the first test area. We can see the in situ receiver installed for the early flight. (Field measurement defined in WP 5.2 Darrozes, 2015). Left and bottom right you see the experimental site of Pech Rouge where a second ground based GNSS-R sensor was installed. 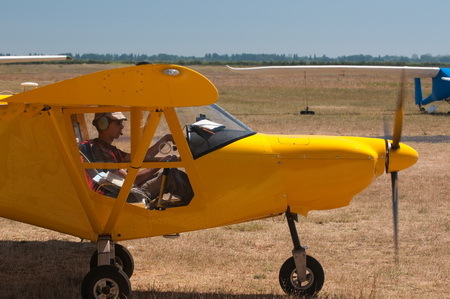 The aircraft was equipped with two antennas, one on top and the other on the bottom. 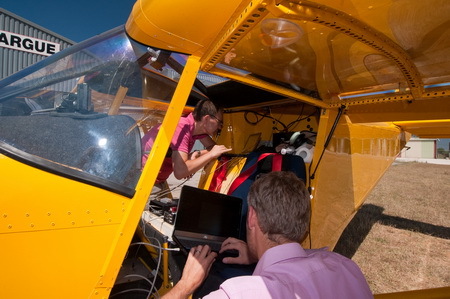 The passenger seat in the aircraft was full of test equipment: a large high end scientific precision trajectory and altitude logger of 23 kg, a prototype of the MISTRALE equipment, a specially designed GNSS signal IQ data logger to collect all the GNSS-R data and several laptops for data storage and to control all the equipment. The first goal of this flight was to test if all parts from the different partners work together and if we were able to collect the data. The second goal was to collect data for use in the project. This first test flight resulted in 22 GB of GNSS-R data. 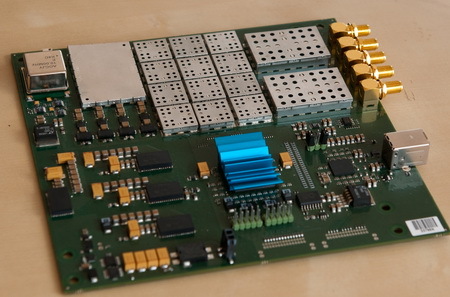 We will use this to improve the processing algorithms and to do the lab test.